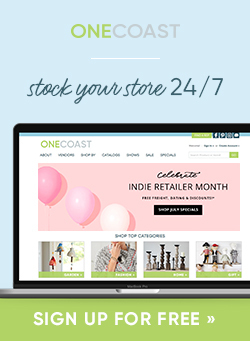 Necklaces are available on OneCoast.com and through you Territory Manager. Do you want to help those affected by the Louisiana Floods of August 2016? Four days of torrential rain produced unprecedented flooding across South Louisiana that was worse than hurricanes of the past. Places that had never flooded before flooded. The deluge damaged or destroyed more than 100,000 homes, more than 40,000 people were rescued, and multitude have been left homeless, stranded in shelters after the rains did stop. This disaster struck without warning or giving people time to prepare. What is the Louisiana Flood Relief Fund? The Louisiana Flood Relief Fund was established with a $100,000 gift from Baton Rouge Area Foundation assets to help people in North Louisiana after the spring flooding. Louisiana Flood Relief Fund have given grants to meet the needs of those that easily get overlooked in a crisis, like providing money to house families with children who have autism and could not live in a noisy shelter. Grants to assist damaged schools and displaced students. 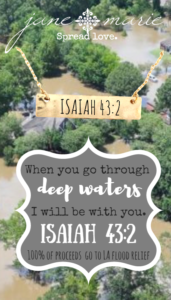 Jane Marie Jewelry had family and friends affected during both of the floods this year. After seeing firsthand the amount of damage and devastation we wanted to help in the recovery. So Jane Marie has designed a delicate carded necklace “Spread Love” and is giving 100% of the proceeds to the Louisiana Flood Relief Fund. 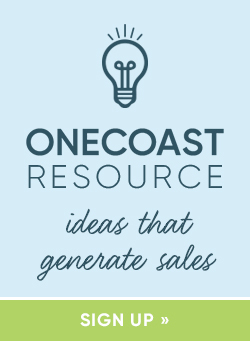 For more information on ordering, please contact your OneCoast Territory Manager. If you wish to learn about more ways to help, please click here. Blog post was provided by Jane Marie. Share the post "Jane Marie | “Spread Love” through Louisiana Flood Relief Fund"